On April 8, Chinese vessel F/N Min Long Yu rammed into a reef in the southwestern Philippines called the Tubbataha National Marine Park. The park is 239,700-acre marine sanctuary and a World Heritage Site. However, the damage to the reef wasn’t the only threat to the environment, according to a NBC article. On the second day of exploring the vessel, over 22,000 pounds of pangolin, a protected species, was found. A ban on hunting these creatures has been in place since 2002. Pangolins, along with hundreds of other illegally hunted animals, yield around $19 billion a year worldwide. Photo from http://www.wildlifesafari.info. In total, the vessel could have been carrying 2,000 dead and de-scaled animals, said the World Wide Fund for Nature Philippines. The meat and scales go for hundreds of dollars because many Chinese believe they can cure sicknesses. 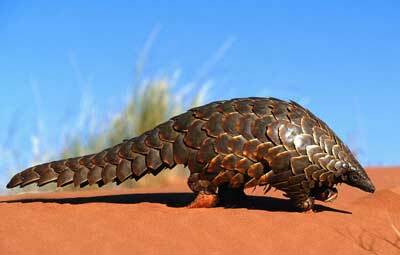 There are four species of pangolins and two are endangered. It is still unknown which species was found on the vessel. The 12 crew members are detained on charges of poaching and attempted bribery. The men claimed to have wandered into the illegal waters by accident. They face a $300,000 fine – and that’s just for the poaching charges. For the animal meat, they could be fined and imprisoned for six years. On top of that, it is probable that the men will face charges on reef damage and violating the Philippines’ wildlife law.